Getting into music journalism can be hard. We know that first hand. That’s part of the reason why, several years ago, this site was created. We want to build a community of developing music journalists, where they can hone their skills on the newest artists and releases. What this means is that our music writers and reviewers get constructive, friendly and valuable feedback on pieces to help them improve. This advice encompasses everything from tonality and punctuation to SEO copywriting tips. It also means that writers can get paid for writing about music. Each month, the writer whose pieces have collectively garnered the most traffic or engagement will be paid to the value of £50. It’s not much, but it’s a start – one that is unheard of in similarly-sized, or even bigger, outlets. This is to incentivise actively writing, but also to invite writers to think about how to best promote their works. Of course, our writers also get the usual music journalism perks: free music to review, gig guest passes, free festival attendence, etc. 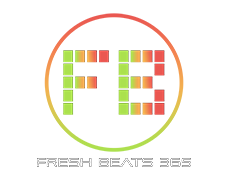 If you’re a budding music journalist (or maybe even an established one with too much spare time on their hands), send an email with an example of your work to editor@freshbeats365.com. Just stick ‘Writing for FB365’ in the title so it doesn’t get lost. We will get back to you ASAP. We are as eager to help develop new music journos as we are to help new artists!